We are pleased to announce that Adam Tooze, Kathryn and Shelby Cullom Davis Professor of History, will become the Director of the European Institute on July 1, 2015. Professor Tooze will be joining Columbia this summer, coming from Yale University, and teaching modern history with a particular emphasis on Germany, economic history, social theory and the philosophy of history. Born in London, Professor Tooze grew up in Heidelberg, Germany, before taking a first degree in economics from King’s College Cambridge. After postgraduate study at the Free University Berlin he took his PhD in economic history from the London School of Economics in 1996. For 13 years he taught in the History Faculty of the University of Cambridge before joining Yale University, where he was the Barton M. Biggs Professor of History and the Co-Director of International Security Studies from 2009 to 2015. He has authored three prize-winning books: Statistics and the German State 1900-1945: The Making of Modern Economic Knowledge (Cambridge University Press, 2001), The Wages of Destruction: The Making and Breaking of the Nazi Economy (UK edition, Penguin Allen Lane, 2006), and The Deluge: The Great War, America and the Remaking of the Global Order, 1916-1931 (Viking, 2014). Tooze’s books have been translated into German, French, Spanish, Italian, Portuguese, Danish, Dutch, Mandarin, Polish and Bulgarian. Statistics and the German State 1900-1945 explores the connection between the emergence of modern national economic statistics and the crisis of the German state in the first half of the twentieth century. Wages of Destruction provides a novel account of the Third Reich viewed from the perspective of the regime’s efforts to harness the German economy for its bid for continental hegemony. The Deluge is an analysis of the First World War that challenges the existing narrative of the war, its peace, and its aftereffects. Most recently, it won the 2015 Los Angeles Times History Book Prize. 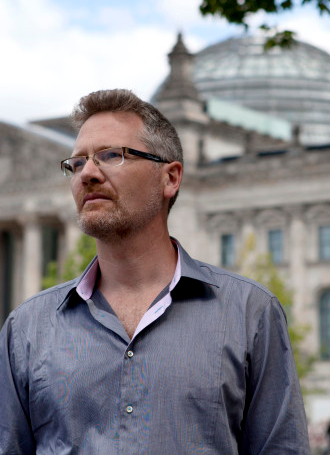 Professor Tooze has served on the academic panels charged with writing the histories of both the German Finance Ministry and Ministry of Economics Affairs. He has served as the Thomas Hawkins Johnson Visiting Professor in Military History at West Point and contributed to the academic advisory panel of the National Intelligence Council. He has written and reviewed for Foreign Affairs, the Financial Times, the Guardian, the Sunday Telegraph, the Wall Street Journal, Die Zeit, Sueddeutsche Zeitung, Tageszeitung and Spiegel Magazine, and New Left Review. Please join us as we welcome Adam Tooze to the European Institute and to Columbia University! Click here to learn more about The European Institute.